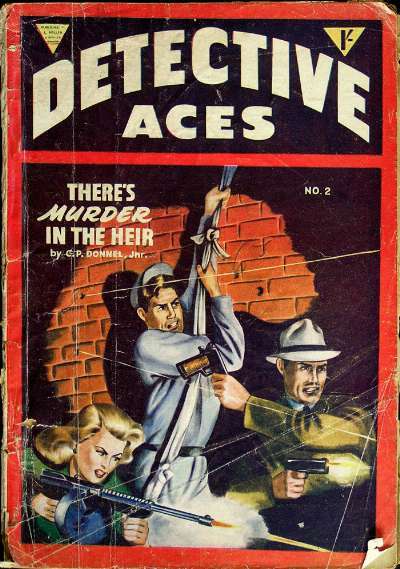 22 · Hells Impersonation [Joe Brion] · H. Q. Masur · ss Ten Detective Aces Oct 1940; author is not listed in magazine. 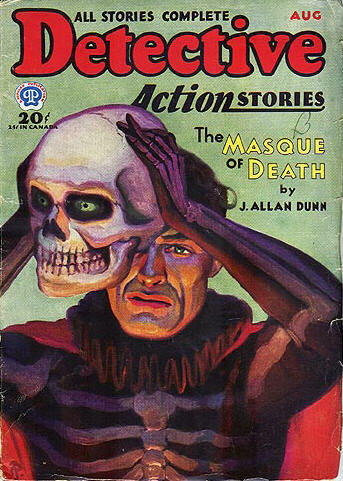 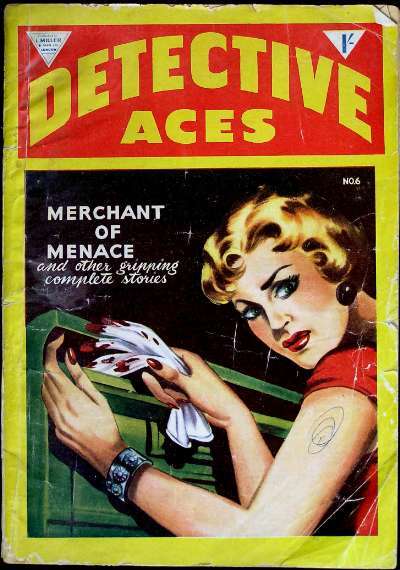 42 · Carnage by Candlelight · Day Keene · ss Ten Detective Aces Jan 1946; author is not listed in magazine. 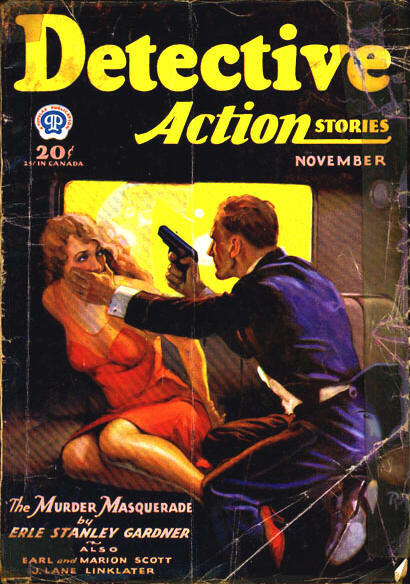 Details supplied by David Kelleher. 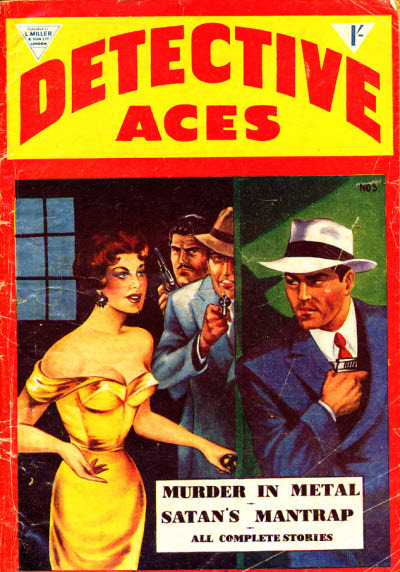 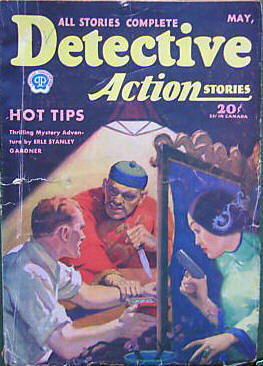 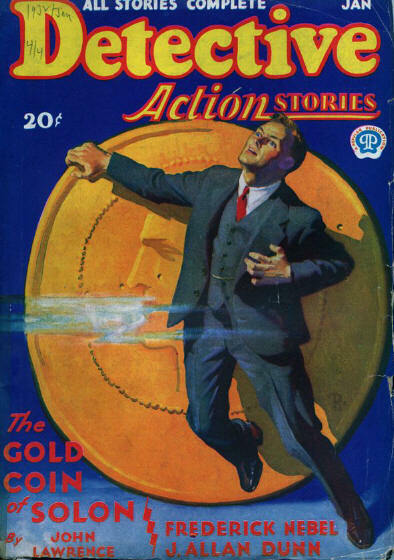 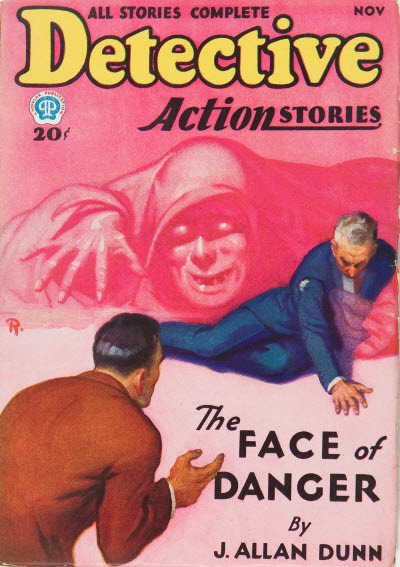 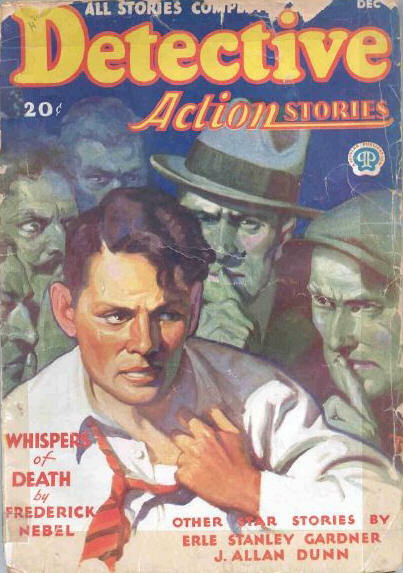 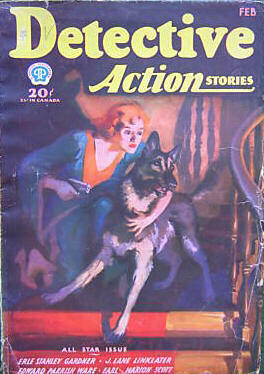 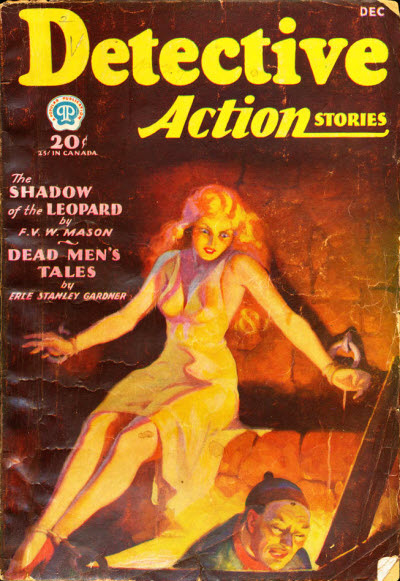 Detective Action Stories was one of the first four magazines published in October 1930 by the then-new partnership of Henry Steeger and Harold Goldsmith that was to become so well-recognised as Popular Publications. 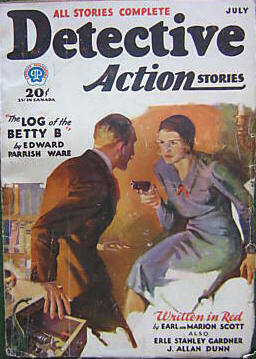 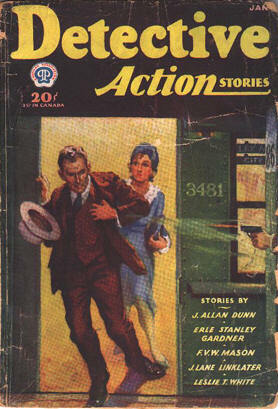 However Detective Action Stories was never a great success, running for only 19 monthly issues until April 1932. 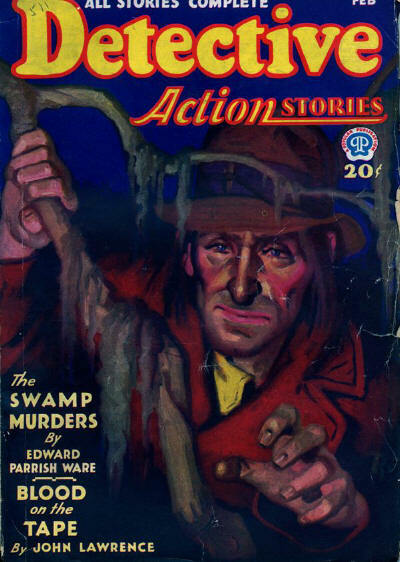 It was briefly relaunched four years later (in October 1936) but lasted for only a further 9 issues before folding for good. 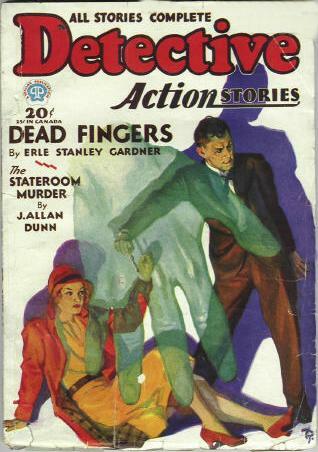 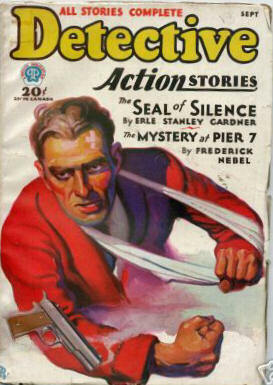 Harry Steeger - Editor: Detective Action Stories, Oct 1930  Nov 1931. 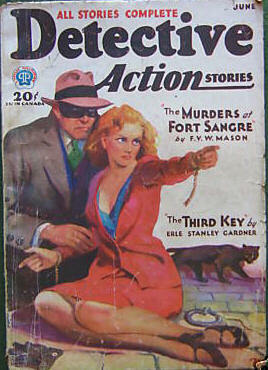 Ralph Perry - Editor: Detective Action Stories, Oct 1936  Oct 1937. 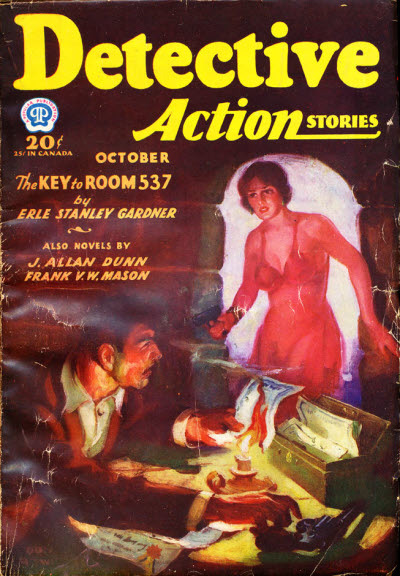 93 · Death to Three [Sergeant Hardboiled Karney] · J. 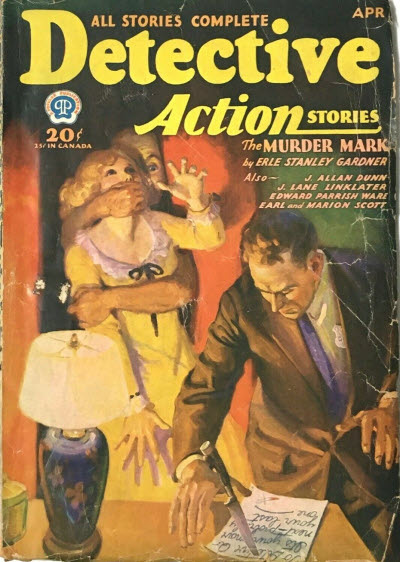 Lane Linklater · ss; possibly Death to Thee. 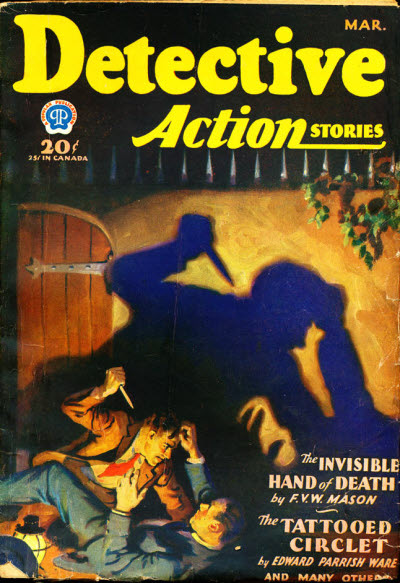 121 · The Trail You Leave in Ink · Frederick St. John · cl; handwriting analysis. 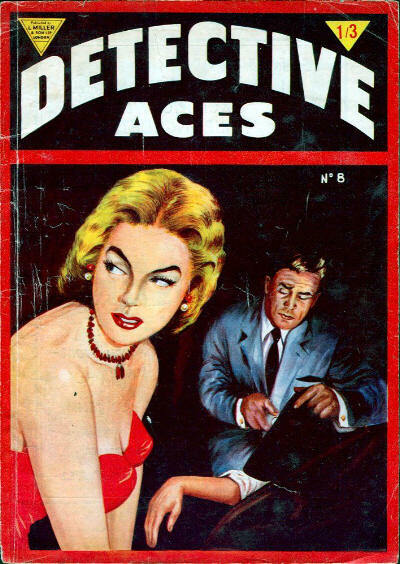 63 · The White Eye · John Lawrence · ss; given as by John L. Lawrence.